What could Sonya be thinking on March 28, 1895, as she watched her husband pedaling awkwardly along the snow-edged garden paths? She was probably shocked to see him enjoying a new sport so soon after their bereavement. Was it callousness, selfishness, or the reaction of a prodigiously vital organism against the creeping fear of doom? She envied and hated him for being so strong. 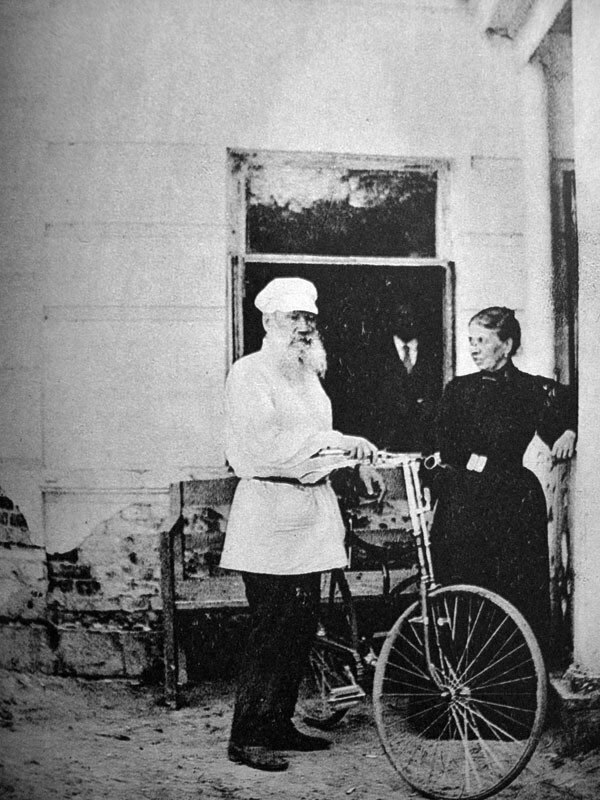 That evening, Tolstoy’s entry in his dairy consisted of the three ritual initials–“ifl” (if I live)–and nothing else. a Valentines Day edition with articles about lust, love, and heartbreak on the bike. We’re editing our magazine now and it drops next week. The current issue about a new year and new rides is available now for $1.99 a month.